Given the high heritability of the disorder, attention-deficit hyperactivity disorder (ADHD) is common among parents of children with ADHD. Parental ADHD is associated with maladaptive parenting, negative parent-child interaction patterns and a diminished response to behavioural parent training. 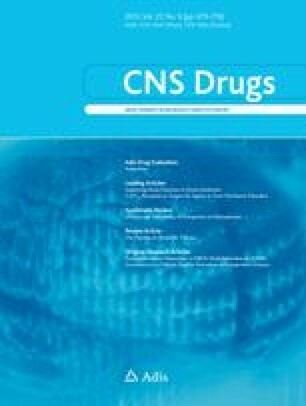 We describe our previous research demonstrating that stimulant medications for mothers with ADHD are associated with reductions in maternal ADHD symptoms. Although limited beneficial effects on self-reported parenting were also found in our study, the impact of ADHD medications on functional outcomes related to parenting and family interactions may not be sufficient for many families. Many questions remain with regard to how best to treat multiplex ADHD families in which a parent and child have ADHD. In particular, future studies are needed: (1) to evaluate how best to sequence pharmacotherapy, psychosocial treatment for adult ADHD and behavioural parenting interventions; (2) to determine the best approach to maintaining treatment effects over the long term for both parents and children; and (3) to identify individual predictors of treatment response. The authors’ research described in this article was funded by the National Institute of Mental Health (R03MH070666-1) and an investigator-initiated study from McNeil Pediatrics, both awarded to Dr Chronis-Tuscano. Dr Stein currently has research support from Shire. No funding was received to prepare this article.